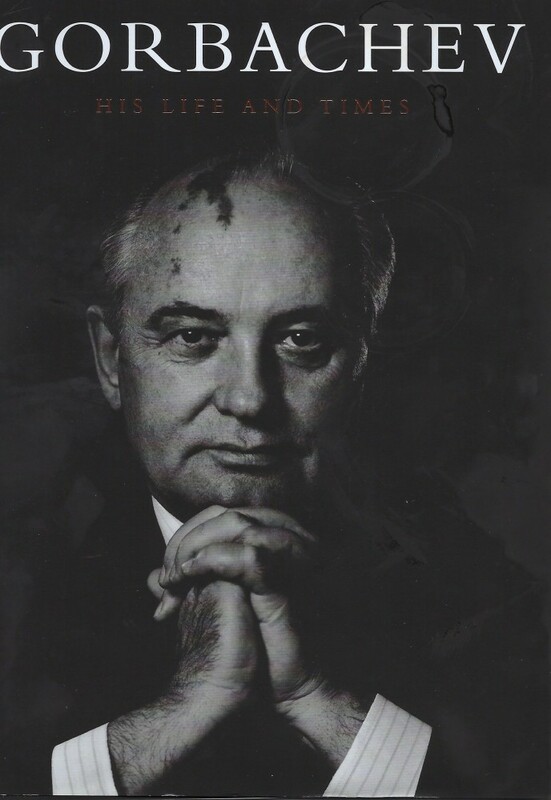 When Mikhail S. Gorbachev (1931-) became general secretary of the Communist Party of the Soviet Union in March 1985, he launched his nation on a dramatic new course. His dual program of “perestroika” (“restructuring”) and “glasnost” (“openness”)introduced profound changes in economic practice, internal affairs and international relations. Within five years, Gorbachev’s revolutionary program swept communist governments throughout Eastern Europe from power. This transformation also brought an end to the Cold War, which had dominated the affairs of the North Atlantic alliance and of the Warsaw Pact for nearly two generations. 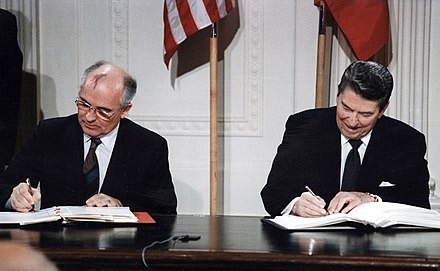 Along that way he successfully negotiated with Ronald Reagan the 1987 Intermediate Nuclear Force (INF) Treaty, which intended to eliminate short, medium and intermediate range (500-3420 kms) nuclear weapons from Europe. By 1991, almost 3000 weapons had been removed, and there followed 10 years of verifications. Now the US government has announced that it will abrogate that treaty. Russia, which denies accusations of non-compliance, has in its turn announced that they will as well cease to be constrained by the Treaty. And while the Europeans recognize the likelihood of Russian “cheating” on the accord, their preference to negotiate compliance – “trust but verify”- is likely to fall on deaf ears in Washington and in the Kremlin. The seemingly preferred American alternative to the INF, a wider treaty embraced by all nuclear powers (the current treaty involves only the US and Russia), has scant future. China, a negligible world power in 1987, now has quite different ambitions and senses much greater opportunities, while India is very much on the defensive in respect of China’s growing power, and ditto Pakistan of India, and so it will go – or more likely, comprehensive nuclear weapons policy will go as it has always gone: nowhere. And Russia has already tried that in 2007. Chafing under a threat largely of his own imagining from the other nuclear states unconstrained by treaty, Vladimir Putin called the INF a Cold War “relic”, and proposed a “global” INF Treaty to the 2008 Conference on Disarmament. During the Cold War the U.S. refused to pledge no first use of nuclear weapons. In 1961 the Kennedy Administration considered launching a nuclear strike against the Soviet Union, if Khrushchev followed through on his threat of a Soviet takeover of West Berlin. The Joint Chiefs of Staff had determined that West Berlin could not be defended by conventional weapons alone. Then and since,US strategic policy has been that tactical nuclear weapons would be a potential response to an overwhelming conventional attack. The policy of first use is already being informally cited as essential to the western defense of the Baltics. In 1993 Russia renounced a long-standing Soviet policy which had pledged no first use of nuclear weapons. This policy reversal in fact brings Russia into line with other nuclear states. As a 2016 report by the Carnegie Institute put it, “In the eyes of nuclear-weapon states such as the United States and Russia, and even the United Kingdom and France, nuclear weapons are not qualitatively different from conventional weapons. Despite the massive destructive power and lethality of nuclear weapons, they are considered to be usable in ways similar to conventional weapons. …” Indeed, according to a 1978 report by an American assistant secretary of defense, “It is generally acknowledged that atomic weapons are rapidly achieving a conventional status in military planning for national and allied defenses.” And a 1957 book by Henry Kissinger, Nuclear Weapons and Foreign Policy, helped to present a case for limited nuclear war. By 1971, American Army medium artillery (155 mm) batteries were nuclear-capable. It is reasonably to be expected that the arms race will now be renewed. It may further be expected that Europeans – principally of course the Germans – will as a result of this again be asked to accept American nuclear weapons on their soil, with the accompanying complete control of those weapons by US custodians. As this is being written, a NATO summit in Brussels is considering the re-introduction of nuclear weapons in Europe; the Secretary General and at least the defense ministers of Great Britain and of Germany have said that this option must be given full consideration. If there is indeed to be a return to the Cold War nuclear face-off in Europe, it will potentially be even more dangerous than before, as both the major protagonists clearly believe and have publicly stated that the first use of nuclear weapons is an accepted strategy. The Europeans must not accept this renewal of military tensions in Europe. Germany especially must not again become a repository of nuclear weapons of which they have scant knowledge and over which they have little control. The American military colonization of Europe – particularly of Germany – is not to be repeated. This point is perhaps not lost on the Germans: as recently reported in our local newspaper, of those polled in Germany as to their perceptions of the greatest threat to their security, 56% identified the United States; North Korea was a distant second. Euphemisms such as “sub-strategic”, “tactical” and “limited” must be seen through; veiled speech must not be allowed to mask the enormity of what is here contemplated – again. The Poles in their eagerness to build Fort Trumpmust be restrained by a centre which – this time – just has to hold. We have studied our history, and we will not be condemned to repeat it. Gorbachev’s actions also inadvertently set the stage for the 1991 collapse of the Soviet Union, which dissolved into 15 individual republics. Gorbachev resigned from office on December 25, 1991. China’s No First Use of Nuclear Weapons, by Zhenqiang, Pan, Carnegie Endowment for International Peace – Reports, 28 Oct 2016 (https://www.questia.com/magazine/1P3-4285520441/china-s-no-first-use-of-nuclear-weapons, accessed 02.02.2019). China has from its earliest acquisition of nuclear weapons systems in 1964 steadfastly renounced first use against any no-nuclear nation or nuclear-free zone. This article seems to conflate “first use” and “first strike.” They are not the same thing. Briefly, first use is a response and is defensivein nature and intent; first strike may be pre-emptive and is thus offensive in nature and intent. ”One way to convince Russia of NATO’s resolve and readiness would be, perhaps, to tighten the link between NATO’s conventional and nuclear forces by integrating both elements in exercises—as NATO did during the Cold War.” “NATO’s Options”, the Carnegie Endowment for International Peace, 28 March 2018 (carnegieendowment.org, accessed 13 February 2019). Other discussants variously note the current inadequacy of NATO conventional forces in the Baltic, from which conventional wisdom will infer the necessity for “non-strategic” nuclear deterrent, which in turn implies first use. See zdf.de, “Raketen ohne Kontrolle”, 13 February 2019. ”Speaking with Trump and reporters in the Oval Office on Tuesday, Poland’s president, Andrzej Duda, told Trump that he’d like the U.S. to create a permanent military base with that name in Poland — and that Poland would pay more than $2 billion for the project.” See foxnews.com, 18 September 2018 (accessed 13 February 2019).